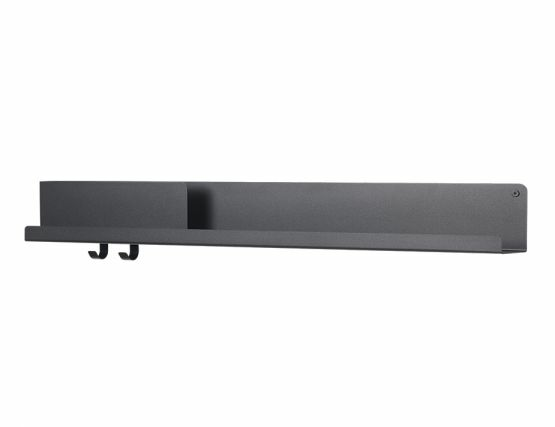 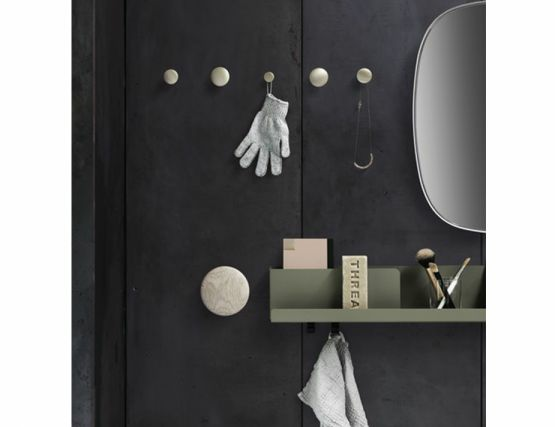 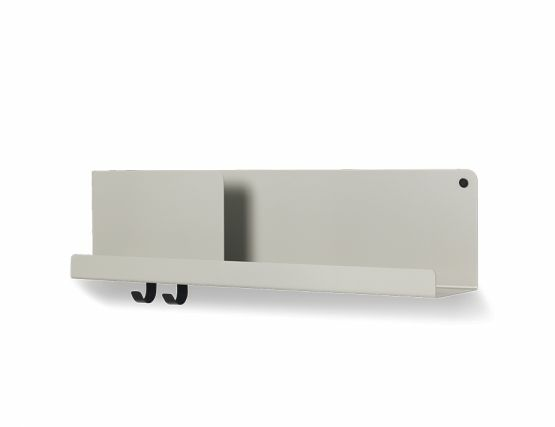 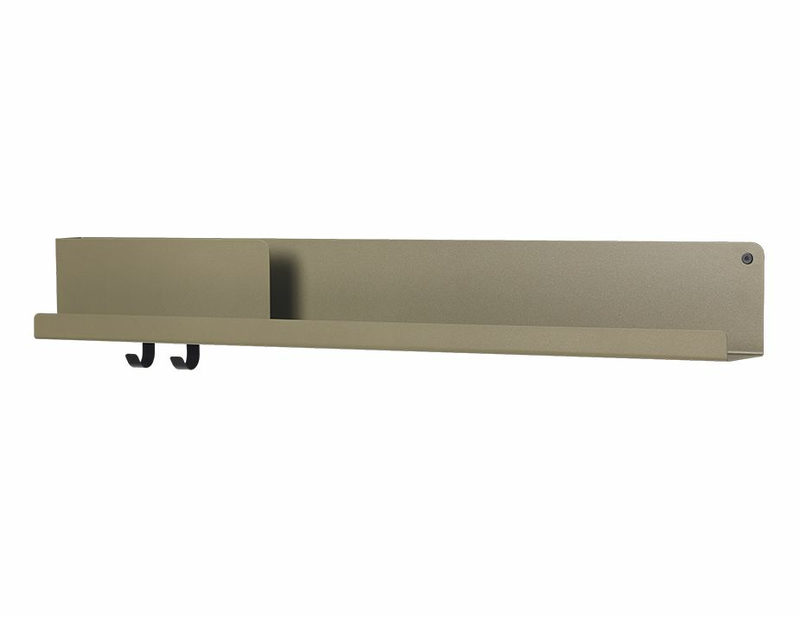 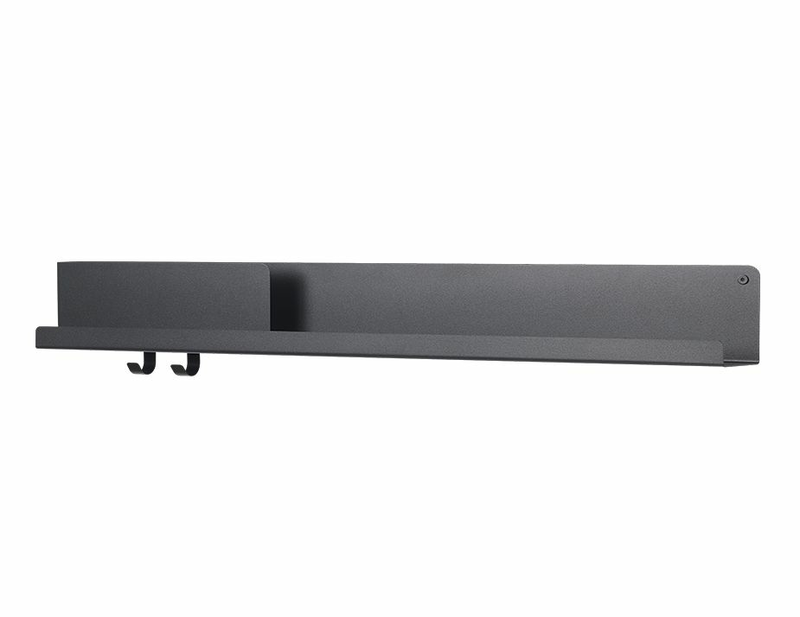 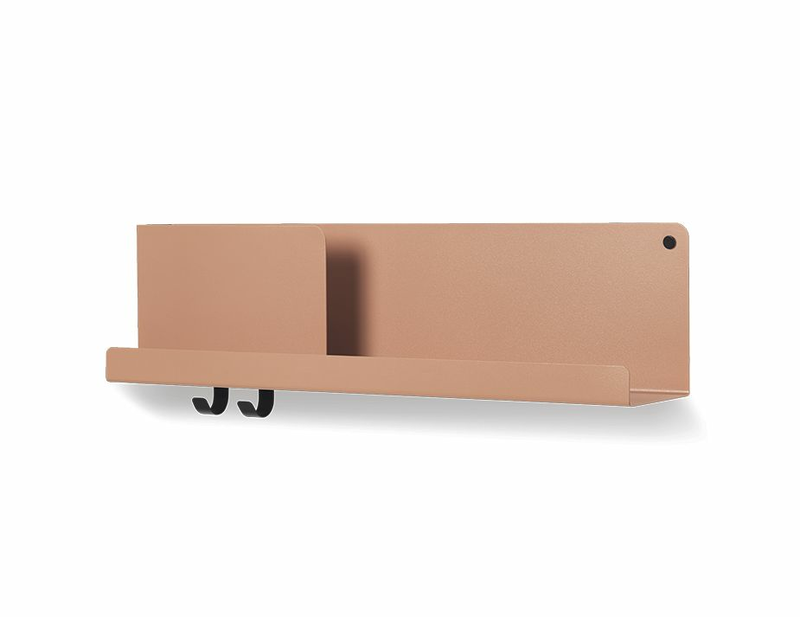 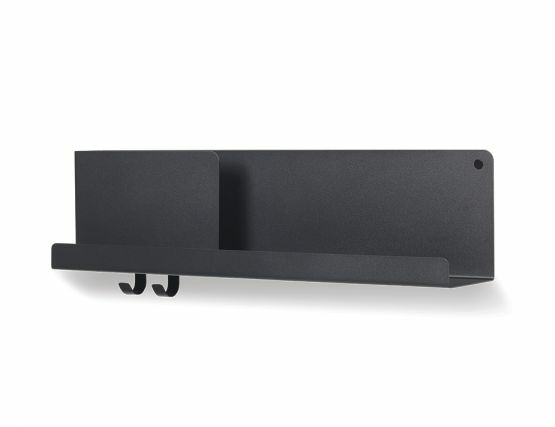 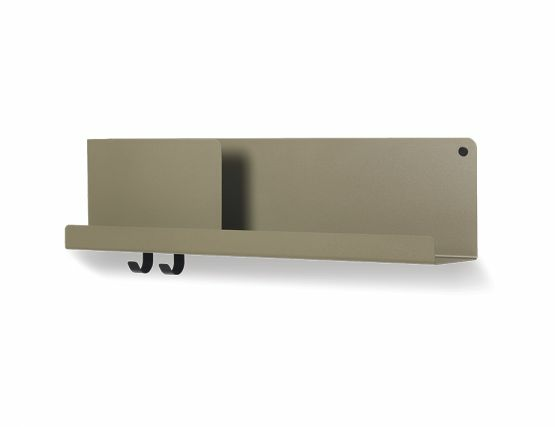 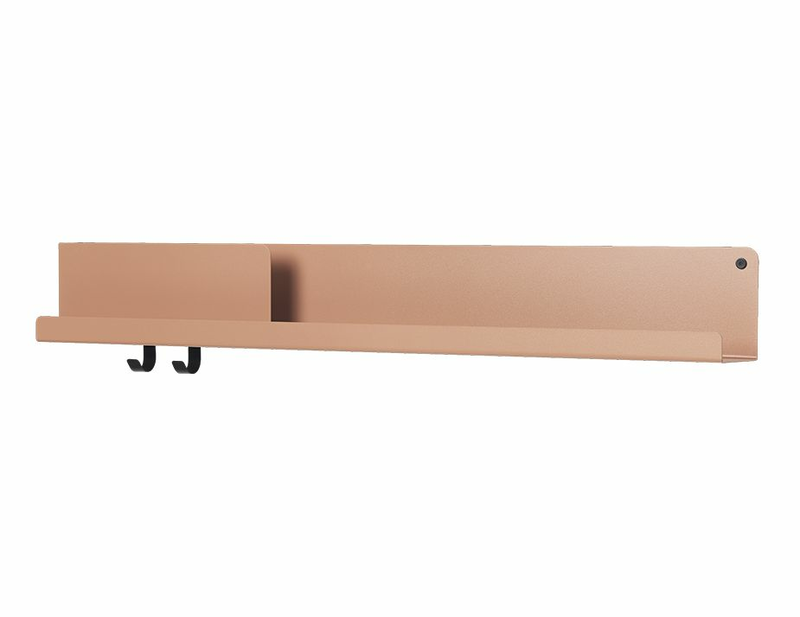 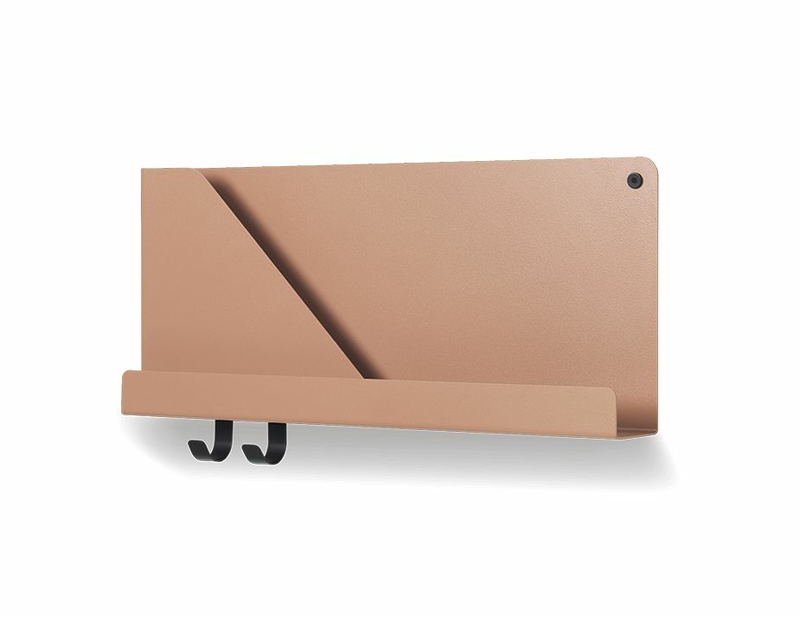 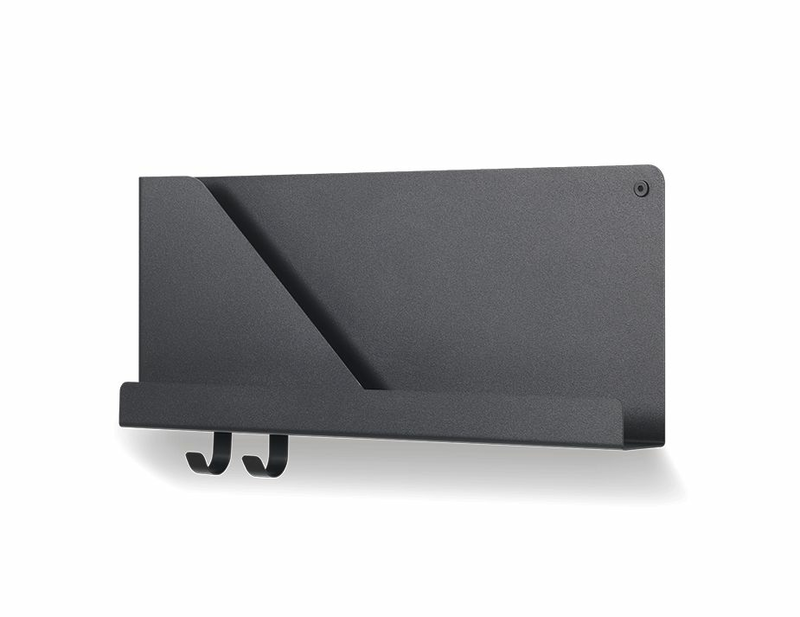 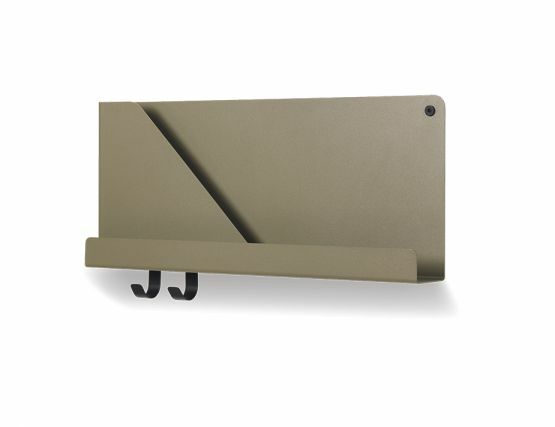 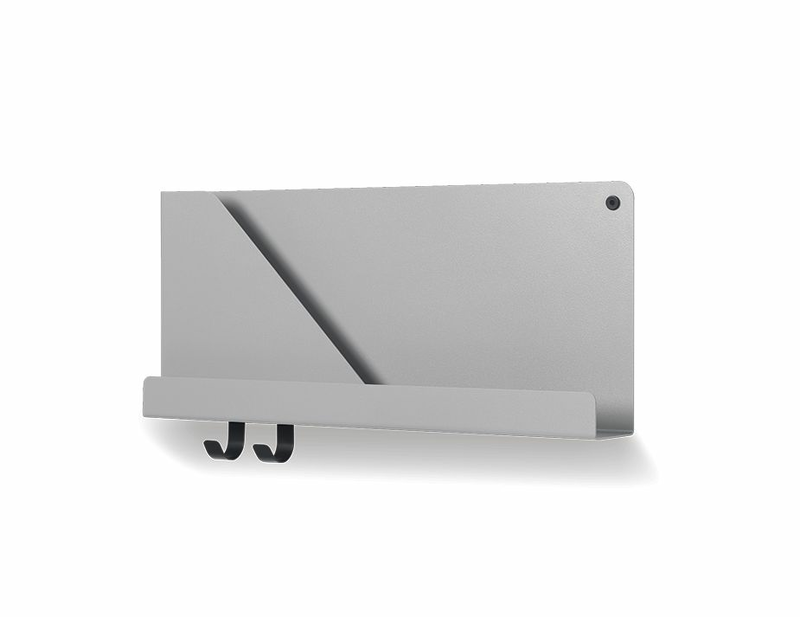 The Muuto Folded Shelf features a subtle bolt and hooks for hanging objects, it is a versatile wall mount that can be used in both a practical and a decorative manner - suitable for organizing anything from mail to books, perfumes or spices, or just displaying your favorite belongings, in the hallway, bathroom, bedroom or kitchen. 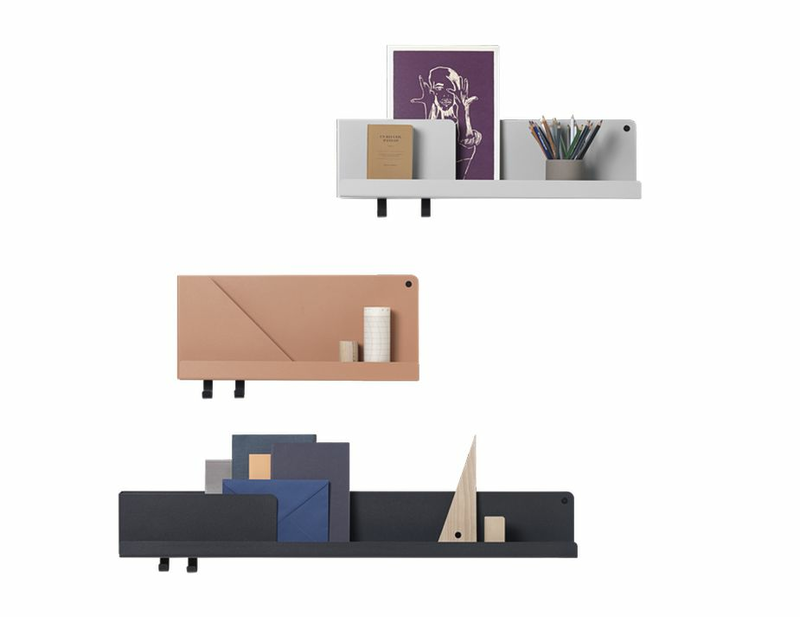 The Folded Shelf was designed by Johan Van Hengel: "Inspired by the shadow-play of layers, Folded is based on a seemingly simple bending technique of a single sheet of metal to create pockets which hold and separate your items." 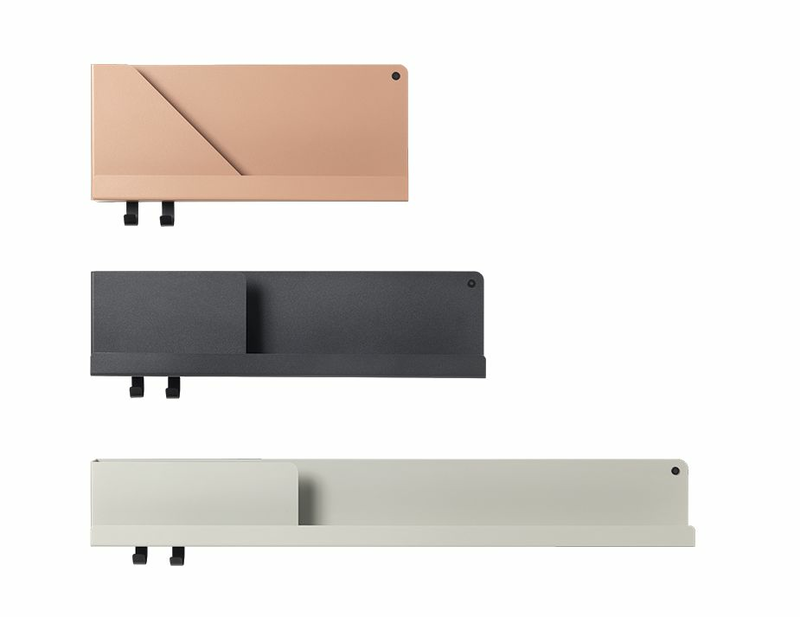 Available in three sizes and three colors, be creative. Boasting the best of the best in contemporary Scandinavian design, Muuto proudly bring a wide array of products that combine functionality and creativity. 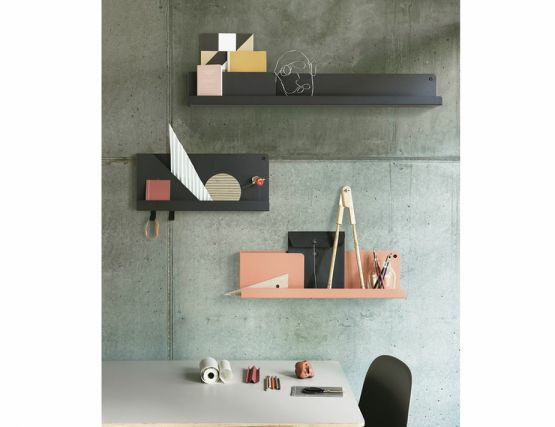 From the Finnish word muutos, which means “new perspective”, Muuto continually break new ground by developing products and designs that are both enduring and for everyday use, and leave a lasting impression on the user.